Lebkuchen have long been a Christmas treat in Germany. But for two Jewish families fleeing the Nazis, these cookies offered hope for the future in a new country. Like many Americans before her, Sandy Lee stumbled into culinary nirvana while living abroad in Europe. But while most people return home raving about the spectacular cheese or wine or charcuterie, Lee fell in love with a cookie. The particular object of her fascination was lebkuchen—a complexly spiced cousin to gingerbread that is ubiquitous in Christmas markets across Germany. Lee, a New Yorker who works in the world of advertising and finance but has a penchant for passion projects, first tasted the cookie while living in Berlin. “It was such a magical combination of flavors,” she said, speaking of lebkuchen’s ginger, cardamom, and cloves, its rich nuttiness, and candied citrus peel. “I kept going back and trying different kinds, and I got a little obsessed.” After discovering that lebkuchen are all-but-impossible to find in New York, she started to make them at home. Never mind that she had no German background and had never been much of a baker—she was on a mission. Her deep dive into lebkuchen resulted in an impressive collection of vintage cookie tins and 19th-century German baking trade manuals, and a year’s worth of trial-and-error attempts to re-create the cookie she loved. “I would travel to Nuremberg to try every type of lebkuchen I could find, remember what I liked best, and reverse-engineer the recipe based on the ingredient lists,” she said. Lee’s research began as a personal quest but soon morphed into a business. In 2011, Lee launched Leckerlee, a boutique business that sells an authentic (and very delicious) take on classic lebkuchen throughout the Christmas season. Through founding Leckerlee, Lee also tapped into an unexpected, and rather astonishing, side story. It turns out, her beloved Christmas cookie played an instrumental role in the survival of two families of Jewish Holocaust survivors. Shortly after launching Leckerlee, Lee was contacted by a man named Bill Freund. Freund, now 90, is the former chief economist of the New York Stock Exchange and a retired economics professor. But he is also, as he told Lee over the phone, the author of a 2011 children’s book called The Cookie That Saved My Family. In 1937, his family left Nuremberg and the escalating persecution that Jews were facing there. In the weeks before their departure, his mother, Paula, whom Freund described as “a marvelous baker,” persuaded a local pastry chef to teach her how to make traditional lebkuchen—a recipe that tends to be closely guarded by those lucky enough to know it. “Nuremberg is the lebkuchen capital of the world,” Freund told me. “And she was thinking of ways to make a living in our new home.” Although he was just a child at the time, Freund has distinct memories of the baker coming to his house to instruct his mother on which spices to use and how to properly form and glaze the cookies. Upon arriving in Manhattan, Freund’s parents took menial jobs to scrape by. But in 1939, when WWII broke out and German goods could no longer be imported to the United States, they started a bakery called Paula’s Lebkuchen in their Washington Heights neighborhood. Open from Labor Day through January, they sold the Christmas cookies and other turnovers to the neighborhood’s heavily German immigrant population. Meanwhile, 10 miles away and across the East River, another Jewish lebkuchen story unfolded in Jackson Heights, Queens. In 1939, Ed Klugman said goodbye to his parents and his hometown of Nuremberg and boarded a kindertransport train to England. It would be one of the last before the war began. As he left, his parents gave him a book of recipes with the urgent instruction to keep it safe until the family could be reunited in the United States. The book, which came from a high-end pastry shop, was fat and heavy, filled with detailed illustrations for decorating pastries and cakes—and a recipe for lebkuchen. Klugman’s father was in the liquor business in Nuremberg but, like Freund’s mother, had researched other possible professions to pursue in America. “I’m not sure how my parents originally got the recipe book, but it was a wise move,” Klugman, 91 and a retired professor of early childhood development, said. “It would become the backbone of my father’s new career in the United States.” Indeed, the Klugman family, who reunited in New York in 1940, would eventually open the Liberty Brand Cookie Company in Jackson Heights, a bakery that specialized in lebkuchen and other high-end cookies. According to Luisa Weiss, a Berlin-based food writer and author of the recently published cookbook Classic German Baking, lebkuchen is a blanket German term for gingerbread, encompassing “multiple dozens” of spiced and honeyed cookies baked during the Christmas season. They date back to the 13th century, where they originated in German monasteries. As Gil Marks wrote in The Encyclopedia of Jewish Food, the monks often “maintained not only baking ovens, but also apiaries and orchards, which provided honey and walnuts” for baked goods. The most renowned variety, and the one that Lee re-creates at Leckerlee, is Elisenlebkuchen from Nuremberg—a dense, chewy pastry made primarily from almond paste and ground hazelnuts, studded with candied orange and citron peel, and covered with a thin sugar or velvety chocolate glaze. They are baked on top of small, edible wafers called oblaten, Weiss told me, which helps keep the batter from spreading in the oven. Oblaten are very similar in shape and composition to the communion wafers used in Catholic services. Freund told me that after World War II began, the oblaten his family had imported from Holland became unavailable. “We went to a Catholic Church and asked where they got their wafer from,” he told me. “They pointed us to a manufacturer in Chicago.” Problem solved. There is no denying that lebkuchen are a Christmas specialty. But they were also enjoyed in Germany’s Jewish communities. According to Marks, Jewish families began baking different varieties lebkuchen as early as the 15th century, preparing them at home so as to avoid the monasteries. “Its pareve nature made it ideal for meat occasions,” he wrote. The cookie was served on Rosh Hashanah because of the honey it contained, and also during Hanukkah since it was Christmas-adjacent. The earliest Jewish American cookbooks, from Aunt Babette’s Cook Book to The Settlement Cook Book (both written by German-Jewish immigrants) contained recipes for lebkuchen. Two Jewish boys from Nuremberg, two recipes for lebkuchen shuttled across the Atlantic Ocean, two unlikely stories of survival. You might just call it a Christmas miracle. Exactly how the Holocaust’s most famous victim came to be captured by the Nazis has intrigued the public for decades. 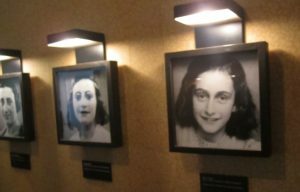 A new study produced by the Anne Frank House is providing the latest set of theories to embroil researchers yet again. Released earlier this month, the report examines events and people surrounding the arrest of Anne Frank, her family and four other Jews who hid in the backrooms of an Amsterdam office building belonging to the company of Anne’s father, Otto Frank. 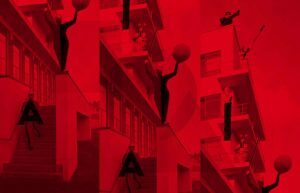 Unlike most prior studies, the new report focuses on possibilities other than the traditionally accepted “betrayal phone call” narrative, wherein someone who knew of the Jews in hiding reported them to authorities. To prepare their report, Broek and his team spent two years looking into details tied to the Nazis’ August 4, 1944, raid on the Secret Annex. According to Broek, there is no hard evidence behind a phone call having taken place, and it is just as likely that authorities descended on the office to investigate illegal workers, forged ration coupons, or other suspicious business practices. In other words, Anne Frank and her family were not necessarily “betrayed,” but could have been the victims of happenstance in a Nazi-occupied city brimming with resistance activities. In Amsterdam, “everything was a risk, everything. [People could not] evade taking chances or risks,” said Broek. However, the focus on possibilities other than a betrayal has irked some researchers, including Germany-based Melissa Müller, author of an acclaimed biography on Anne Frank published in 1998. According to Müller, the Anne Frank House’s new study is short on new facts and makes “obvious mistakes,” she said. “This theory is not new at all, and there are not enough reliable sources to switch over to these ‘new’ explanations for the raid on the Prinsengracht,” said Müller. The Prinsengracht is a winding Amsterdam canal along which Frank’s office building resided, adjacent to a neighborhood — the Jordaan — filled with black market and resistance activity during 1944. According to Müller and researcher Gerlof Langerijs, with whom she partnered to answer The Times of Israel’s questions, mistakes and “a lack of proof” in the Anne Frank House’s report have damaged its credibility. “The reactions in the Netherlands are very negative,” said Müller. “[Broek] does not have any proof and is just causing confusion,” she said. For instance, Müller took issue with Broek’s claim that the two-hour raid on the canal building was significantly longer than a normal Nazi arrest of Jews in hiding. According to Müller, two hours for such a raid was “not long at all, measured in 1944 circumstances and slower life speed,” said the author. Müller also disagreed with the report’s claim that a lack of working telephone lines in Amsterdam during early August 1944 would have made a betrayal phone call unlikely. In Müller’s opinion, this is an example of researchers boosting a theory with questionable assumptions. 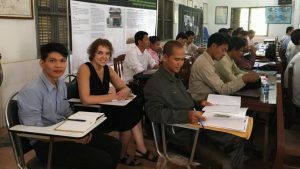 Müller does, however, agree with Broek that the betrayal phone call is something of a red herring, or, as she put it, “a mystification, and a typical example of how a story is passed on from one person to the next,” said Müller. Another point of contention for Müller and Langerijs is the study’s assessment of workers in the warehouse below the Secret Annex, as well as travelling sales representatives who regularly visited the building. That some of these men and women were under the gaze of authorities for illegal activities has been known for decades, said Müller, yet there is still no evidence connecting one of them to the raid. “Saying that there was ‘messing around with ration cards and illegal workers’ [as the study] suggests much, but proves nothing,” said Müller. According to Broek and others at the Anne Frank House, the new research “doesn’t make claims that can’t be substantiated,” and possibilities such as the arrest being tied to something other than a phone call about Jews in hiding should be considered. “Despite decades of research, betrayal as a point of departure has delivered nothing conclusive,” said Annemarie Bekker, spokesperson for the Anne Frank House, one of the Netherlands’ top tourist attractions. “Our new investigation does not refute the possibility that the people in hiding were betrayed, but illustrates that other scenarios should also be considered,” Bekker told The Times of Israel. “Hopefully more researchers will see reason to follow up on new leads,” she said. For several decades, according to biographer Melissa Müller, the Anne Frank House “thought it was not their task to do any deeper research on the story by themselves, although they had some fine researchers on their staff,” she said. “Back then the suggestions to take a deeper look into certain subjects were constantly put off the table,” said Müller. “To go public with this kind of research is new to them,” she said, referring to the report released this month about the fateful raid on Otto Frank’s office building. In 2002, researchers including Müller’s colleague, Gerlof Langerijs, presented the Anne Frank House with a flowchart of possible “external factors,” or leads, which the Nazis might have been pursuing when they decided upon a raid, said Müller. That it took the Anne Frank House 14 years to pursue these leads is “remarkable,” said Müller, who published an updated and expanded edition of her Anne Frank biography in 2013. “In the past there were more and more urgent moments to point out this possibility,” said Müller. “Many people think it is not much more than a publicity attempt,” said Müller of the study. “Just another theory after many theories have already been published — lacking convincing facts. In their letters to the editor, people complain about the study’s conclusion [being] based on ‘coincidences,’” she said. According to Broek, he and Müller have met several times to discuss “every detail of Anne Frank’s life, and [the arrest] is always a part of the conversation,” he said. Broek emailed Müller a series of questions related to his study one year ago, to which the author responded, he said. “I have not heard of any confusion inside of the Netherlands or outside of it,” said Broek about Müller’s claim the study is causing confusion. Among other researchers of Anne Frank and the Nazi occupation in Amsterdam, there is general admiration for the arrest study. However, there is also frustration about an ongoing lack of closure. Calling the study “well done and very interesting,” van Liempt added, “it is disappointing that there is no concrete conclusion. We cannot blame Mr. Broek and his research team. They did a good job, offered us a new view but couldn’t prove it. That is what, unfortunately, often happens in history research,” said van Liempt, who provided feedback to the Anne Frank House during the report’s creation, according to Broek. “We know about thousands of Jews in the Netherlands, whether they were betrayed or not,” van Liempt told The Times of Israel. “But we don’t know about the most famous family of all, and sure, this bothers. I am still very curious, but I am afraid that I will never know what happened in this case,” said van Liempt. Researchers close to Anne Frank’s story have expressed similar frustration, along with concerns that future research be directed toward appropriate ends. 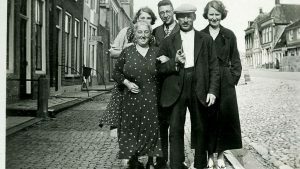 “I cannot imagine that this new theory of happenstance rather than betrayal would have made one iota of difference to Miep Gies and the rest of the helpers, much less to Anne and the other six people in hiding who were murdered,” said journalist Steve North, referring to the Dutch woman who took care of the Jews in hiding and rescued Frank’s diary after the arrest. North was the last journalist to interview Miep Gies before her death in 2010. He told The Times of Israel that Gies — were she still living — “might question why a new vague and ambiguous ‘research study’ was necessary at this particular time,” said North, whose 1998 interview with Gies took place in her Amsterdam apartment, where some of the Frank family’s furniture remained after the war. “I can only hope that this study was motivated by the search for an historical truth, and not by a need to keep the rewarding business of Anne Frank well-marketed and flourishing,” said North. Another writer who interviewed Gies is Alison Leslie Gold, author of the 1987 book, “Anne Frank Remembered,” in which Gold partnered with Gies to tell Frank’s story from the perspective of the woman who hid and cared for eight Jews in the Secret Annex and — rarely mentioned — an “underground” Dutch student who hid in her and husband Jan Gies’ apartment. “I hesitate to weigh in,” said biographer Gold, “since analyzing the arrests from this ‘new’ angle — though it might shut some doors — also opens new doors, presents new implications, poses new questions,” Gold told The Times of Israel. “It seems as if many more dots need to be connected before we reconfigure the tragedy that ended or blighted the lives of so many,” said Gold. Details from an unpublished work by author P.G. Wodehouse — in which he reveals his feelings over controversial radio broadcasts he made while held by the Nazis in Germany that saw him branded a traitor in Britain — came to light this week. The Times of London was given access to the pages which Wodehouse stopped writing after just a few chapters when friends advised him against revisiting his controversial war years. Wodehouse, who gained fame on both sides of the Atlantic with his tales of bumbling aristocrat Bertie Wooster and inimitable butler Jeeves, made a series of radio broadcasts from Berlin in the summer of 1941 titled “How to be an Internee Without Previous Training” in which he gave a light-hearted account of his experiences while being held prisoner by the Germans. The original typed sheets held by the New York Public Library were never published, but a copy has now been placed in the British Library. The pages — an incomplete memoir and apologia defending himself against accusations of being a Nazi sympathizer — include the comedy writer’s responses to critics of his wartime actions. Wodehouse’s most notable critic was his former friend, A.A. Milne, who authored the Winnie-The-Pooh children’s stories. Although Wodehouse never expressed any support or sympathy for the Nazi cause, the programs went down badly in Britain that had just suffered the Blitz, the heavy German air raids during 1940 and 1941. He was vilified in parliament, his work banned from the BBC and some libraries removed his books from their shelves. Wodehouse admits in the papers that the broadcasts were a grave mistake but notes that it did not occur to him that there was any harm in them at the time. Wodehouse, and his wife Ethel, were living in Le Touquet, France when the Germans invaded in 1940. The couple tried to escape but their car broke down and they were unable to make another attempt before being captured by the Germany army. The Germans interned all male enemy nationals under the age of 60 and that included Wodehouse who was born in 1881. He was sent first to a former prison in Loos, a suburb of Lille, then moved through Belgium and finally held at Tost in Upper Silesia, German-held at the time, now Polish territory. Wodehouse was later moved to a hotel in Berlin and he made the broadcasts from the city. He remained in Germany with his wife until September 1943 after which he was allowed back to Paris and was in the city when it was liberated in August 1944. Shortly after the liberation Wodehouse was questioned on separate occasions by British intelligence officers from MI6 and MI5 who both concluded that while the broadcasts were folly, there was no reason to prosecute him. However, the public animosity in his homeland remained and Wodehouse moved to the US in 1947, never returning to Britain. He was eventually honored with a knighthood in 1975, a month before his death. The MI5 report exonerating Wodehouse was only made public in 1980. The document also brought to light some details of his feud with fellow author Milne. Wodehouse and Milne had been friends before the war but their relationship soured as a result of the broadcasts. One undated exchange came after Milne had recalled that Wodehouse, who had no children, once told him he would like a son but only if the boy was born aged 15. In response, Wodehouse skewered Milne for including his own son, Christopher Robin, in the Winnie-The-Pooh books. “You misunderstand me, Mr [sic] Milne,” he wrote. “I was simply talking as one businessman to another. When we ­authors have infant sons, our first thought is to cash in on them, and what I meant was that you had nipped in first and cleaned up on your infant son so thoroughly that the racket was busted. 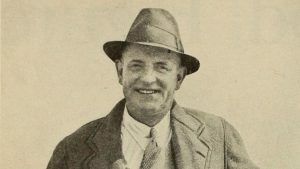 Wodehouse explained his reasons for making the broadcasts, saying he wanted to express gratitude to his US fans who wrote to him while he was held and also that a speech using the same themes he made to some 200 fellow British prisoners when he was held in Tost had been very well received.